Triumph Malaysia to Launch Something? We are back, it has been quite a while since we last updated on our news section and this is all thanks to all the hectic schedule of our filming session. But now, we are on track to be back with more news and updates on latest bikes and latest films in the future. Well now is the time for us to share our first ride impression of this lovely beginner class of an offroad motorcycle. 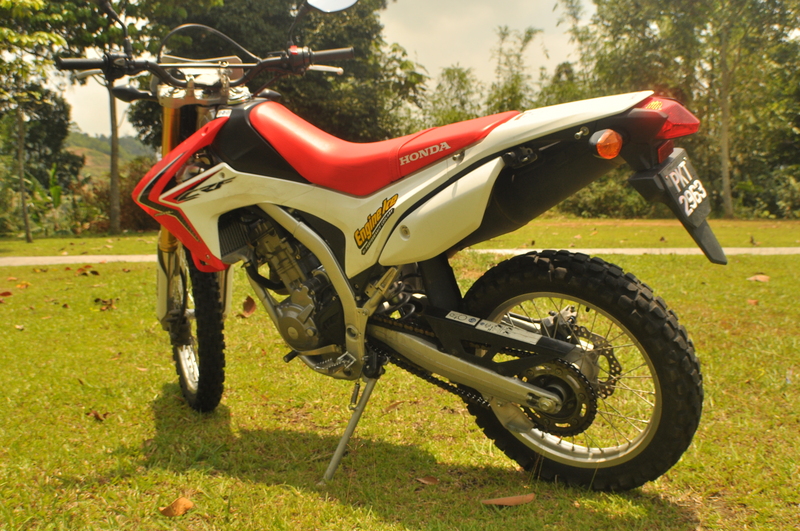 The highly acclaim by international motoring journalist out there, the Honda CRF 250L. Our last piece on this bike was related to that James Bond Movie and when we first met with the bike, we can really see why this bike was chosen to be in that film. It has the rigid looks to it and the height is just nice to fit an average size rider but not so much for those smaller riders out there. But this all as expected from the fact that it is an offroad machine. We did have it for quite some time but we couldn’t manage to have it filmed in a way that we are used to so this will be our reports on this particular machine. First of all, we must declare ourselves as more of a road rider rather than offroad. Therefore, our opinion may not be as useful to those that has long experience with offroad machines. 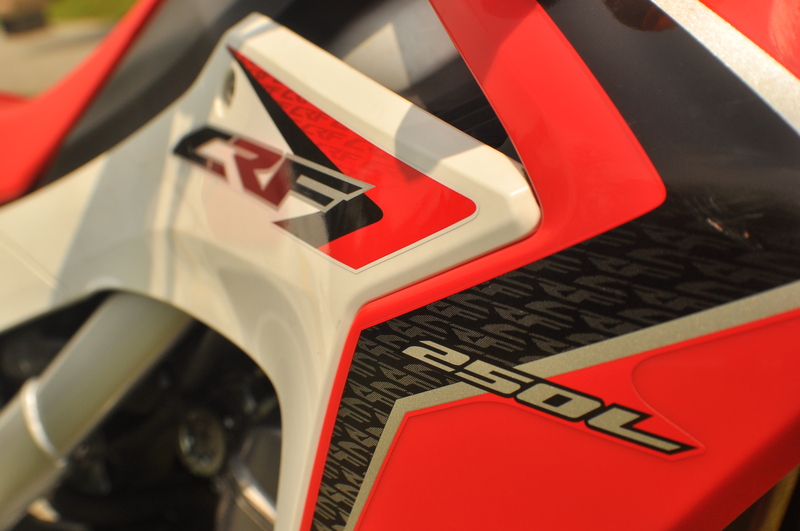 The first thing that we noticed about the CRF was that it is absolutely powerful enough to give you plenty of sweats and adrenaline rush while riding it offroad. Well. those power however may come as something dangerous for someone who is very new to this kind of bike. The machine is easy enough to ride but an underestimate will definitely a negative thing for a rider to do on this bike. The ride was exceptionally awesome with an amazing set of suspensions on the bike, although it could have been better adjusted for any specific offroad rider to get the best potential of the engine power to the rear wheel and letting it out on a trail track or even some little motocross track. For us road rider, it is absolutely enough and gives us confidence to ride it hard off the road. But when it comes to be given a hard ride on the road, the story becomes something different. The wobbly handlebar made possible from those huge offroad tires may cause some uncomfortable riding experience. 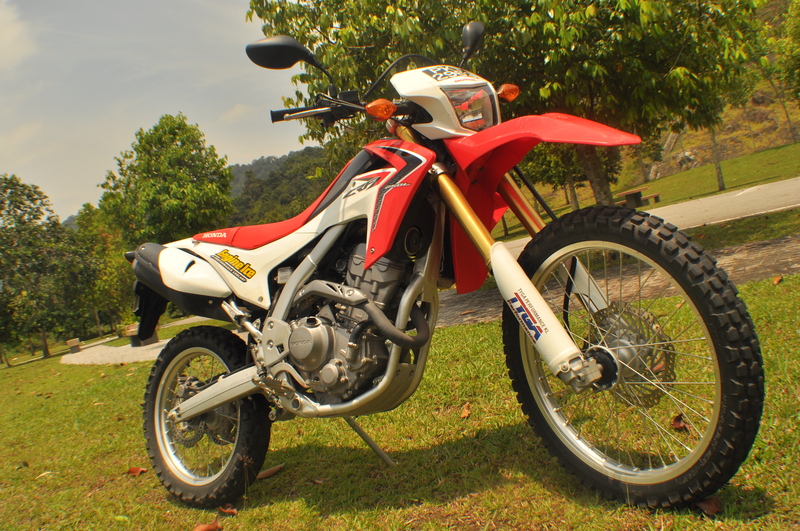 The price tag of RM23,633 (OTR) is a bargain to those who are into offroad machines, but for us road riders; it is still something that we might have to think twice before deciding to buy one. From our test rider personal opinion, it is a very good investment to get the CRF 250 as a machine to start working on his riding skills and the price is definitely not a problem at all. Since we have so much filming being done simultaneously at the moment, we regret to release a very quick test ride film on the CRF. But we will try our best in making a proper film with a proper off road specialist to give his/her opinion on the bike’s performance. Stay tune with us for more updates in the future and definitely help us in spreading the words out about us in Malaysian Riders by LIKING our FACEBOOK PAGE and SUBSCRIBING to our YOUTUBE CHANNEL.